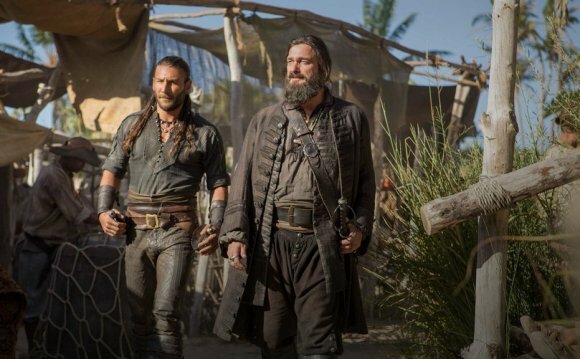 It’s a pirate’s life for Ray Stevenson, due to the fact “Divergent” and “Rome” star features accompanied the cast of Starz crisis “Black Sails” as notorious raider Blackbeard. Stevenson joins the cast for period three, with Blackbeard (or Edward train if you’re being formal) time for settle some incomplete business. Considerably has changed during his lack, indicating he’ll have to disrupt some cemented alliances and challenge new ones. “Black Sails” uses feared pirate Captain Flint (Toby Stephens) and his team. It takes spot twenty years ahead of the events depicted in Robert Louis Stevenson’s classic “Treasure Island.” Stevenson joins a cast which also includes Hannah New, Luke Arnold, Jessica Parker Kennedy, Tom Hopper, Zach McGowan, Clara Paget and Toby Schmitz. The series is made by government manufacturers Jonathan E. Steinberg and Robert Levine and is particularly executive from Michael Bay along with his Platinum Dunes lovers Brad Fuller and Andrew Form. Chris Symes and Dan Shotz also serve as professional manufacturers. The summer season two finale of “Black Sails” airs at 9 p.m. Saturday on Starz. Starz has also introduced a fresh behind-the-scenes intro for period three, which will be currently in production in South Africa and is set to air in 2016.